Harrie Leenders have now launched the floor-standing model called the ‘DIA BASE’ which is supported on a robust steel foot. The familiar Harrie Leenders DIA is a minimally styled, wall mounted rotating stove. 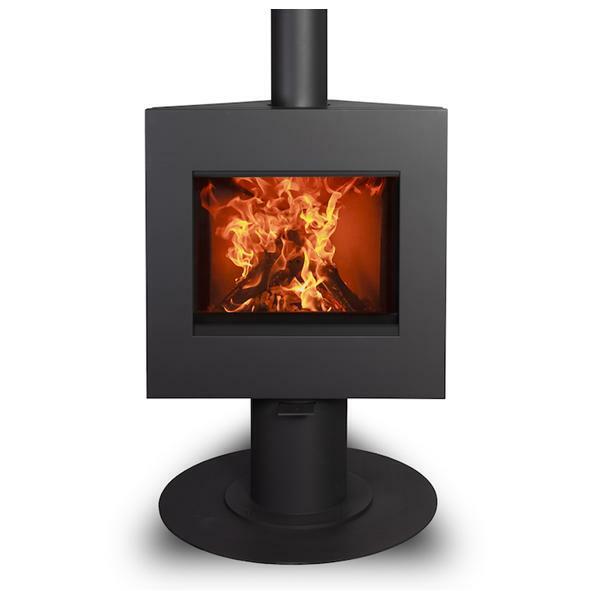 It provides a wide panoramic view of the fire and has a nominal output of just over 5kW which makes it ideal for bringing spectacular Harrie Leenders style to smaller spaces. Harrie Leenders have now launched the floor-standing model called the 'DIA BASE' which is supported on a robust steel foot. The stove has a maximum rotation of 360° and can either be anchored directly to the floor through the base flange or secured to a 750mm diameter circular floor plate (optional extra) which requires no further fixing to the floor. According to Bart Leenders, the new design grew out of a customer request. "A customer asked us if we could build him a DIA on a base. So we started building. The result surprised us, because it looked like it had never been different, as the if the DIA had always had a foot".